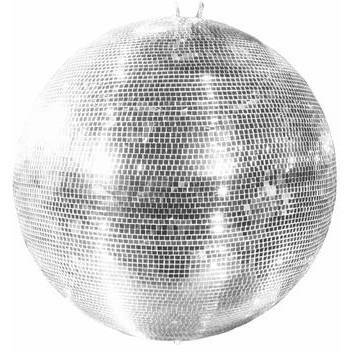 Product information "Eurolite mirror ball 75cm, without motor"
The mirror ball with its extremely dimensionally stable plastic core and low dead weight has an additional safety catch to meet the required fall protection requirements. This mirror ball from Eurolite has a high mechanical tensile strength due to continuous axle with self-locking nut. The Eurolite mirror balls fulfil the safety standard EN 292 and the accident prevention regulation BGV C1 (formerly VBG 70). The safety test is carried out at 10 times the rated load. The quality management checks every production batch! Be the first who writes a review for: "Eurolite mirror ball 75cm, without motor"